It’s important to keep an eye on the condition of your rood even if you aren’t experiencing any problems yet. Some small problems that you may not notice for a while can get much more serious if they are left unrepaired for too long. If you do regular inspections, there’s no need to panic if you do discover that there is a problem. When you call a professional to do any roofing repair minneapolis, they will not only be able to fix the problem but also possible show you how to prevent it from happening again. Here are some of the reasons why you should call a roofer to repair your roof. If you are missing shingles on your roof, it’s a good idea to get the problem repaired as quickly as possible. Nobody wants to have to put a tarp on their roof to stop a leak and if you do not replace missing shingles this may be exactly what you have to do while you are waiting to have a new roof installed on your home. Also, even if there aren’t any shingles that are missing from your roof, it’s a good idea to walk around and check if the shingles in different areas are starting to come loose. This can indicate just as big of a problem as missing shingles. 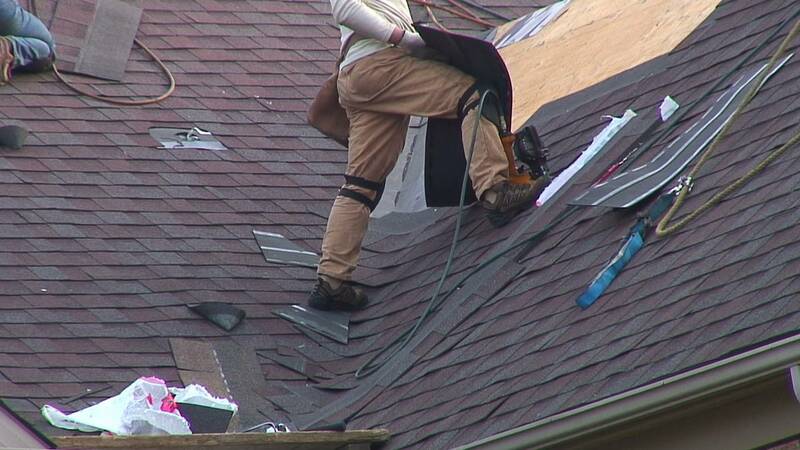 Ice and wind are 2 of the most common reasons why shingles start to come loose or come off. If you are losing granules on your shingles, there are a few ways that you will be able to find out. One is simply by looking at the color of your roof. If there are patches of different colors this may be because certain areas are more worn down than others and missing a significant amount of granules. In addition, if you notice a lot of them in your gutters or spouts, you may need to call a professional for help. You can also run your hand along your shingles and see if the granules come off easily. Leaks are one of the most obvious things that mean that you need to get your roof repaired or even replaced if the damage is bad enough. Leaks can lead to the growth of mold along with possibly causing structural problems in your home as it can weaken the wood and even lead to rot. It’s important to start looking for leaks before you notice water leaking into your kitchen. If you are able to access the unfinished roof of your home in your attic, don’t just look for actual water. It’s important to see if the wood in your home’s roof decking is stained because this could indicate that there is water leaking into your home from a damaged roof. If you see that there is, in fact, water damage, it’s important to get a roofer in quickly.